LeUyen Pham–What Was on Her . . .
I’m thrilled—absolutely THRILLED—to introduce today’s guest, the completely wonderful, completely talented LeUyen Pham! 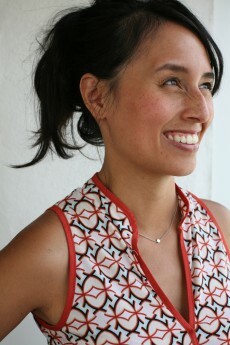 Uyen was the first ever female layout artist at DreamWorks Animation. Since leaving there 14 years ago, she has illustrated nearly 70 books, ranging from board books to chapter books to graphic novels. She has collaborated with Charlotte Zolotow, Archbishop Desmond Tutu, Kathi Appelt, and actress Julianne Moore. Her self-authored titles include Big Sister Little Sister, All the Things I Love About You, No Such Thing As Little, and A Piece of Cake. This year alone, Uyen is scheduled to release nine books, among which are the latest installments of the Alvin Ho series and my personal favorite, The Princess in Black, a collaboration between Uyen and Shannon & Dean Hale.